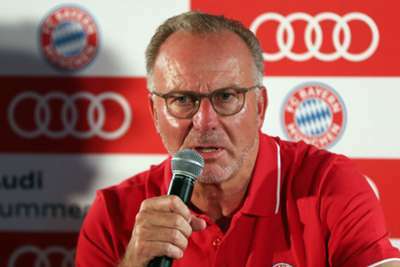 Karl-Heinz Rummenigge has hit out at criticism of Bayern Munich's senior players after their miserable run of form for club and country, calling for more respect from the media. A stalemate with Ajax in the Champions League means Niko Kovac's side have not won in four matches, leading to scrutiny of the form of Bayern's senior stars. "We got together on Monday after the Holland match [against Germany] and how it was reported," he told a media conference held shortly after Kovac previewed Saturday's match with Wolfsburg. "And we think we cannot go on like this. We will not accept that at Bayern Munich anymore. "We have been allowed to celebrate six years at Bayern, a permanent party. You cannot win more as a club. Please do not forget that Germany became world champion in 2014 thanks to many players from FC Bayern. "Three weeks ago, the world was still in order; now, we have experienced four games that we did not like. But there is no reason to deal with the team in this way. "It is an important day today. We tell them [the media] that we will not put up with this anymore. "You may enjoy it, but we will not let this degrading coverage be sold. Today, we will protect our players, our coach and the club. "One cannot expect that a defeat be praised. But there is a difference between fair and critical reporting. We want factual reporting." President Uli Hoeness also expressed his anger at the behaviour of Germany's media, adding: "The most important club in Germany must take a stance. The approach of the press is a joke! "We will be critical of our players, but we will not accept disrespectful coverage."